David talked about the importance of bringing value to our relationships, and I know for me, especially when it comes to meeting new people and expanding my existing network, I can often feel intimidated. If you feel the same way, I can guarantee you that you have so much to offer in terms of your strengths and skillsets. However often times we are only good at noticing our weaknesses. If you are stumped as to what you bring to the table I encourage you to go over to viacharacter.org and do their quick strength assessment. VIA stands for virtues in action, and this quick 20-minute session will reveal to you all the amazing things that you bring to the world. David invites us to reframe the idea that a network is not something we build but rather something we exist within – take a moment and think about your circle of friends and circle of influence. How strong is your inner network? Do you contribute to its vitality and growth? Is there something that you could do to deepen your level of contribution? David talked about the importance of coming into each conversation with interest and I also think curiosity. The next time that you feel nervous about meeting someone, can you reframe your nerves into excitement? See the meeting or dinner as an opportunity to bring something new to the table, and to walk away having learned something new? David talks about Social Capital and the value that comes from being in a community that has a strong level of trust – he also talks about the social capital that comes from us accumulating capital by being surrounded by a strong network. He encourages us to become the gardener and to tend to our network and this, in turn, allows us to bring great value into our network. What is one thing you can do this weekend to tend to your community? By being the connector, the gardener, and the nurturer, you will help both yourself and your connections flourish and thrive. 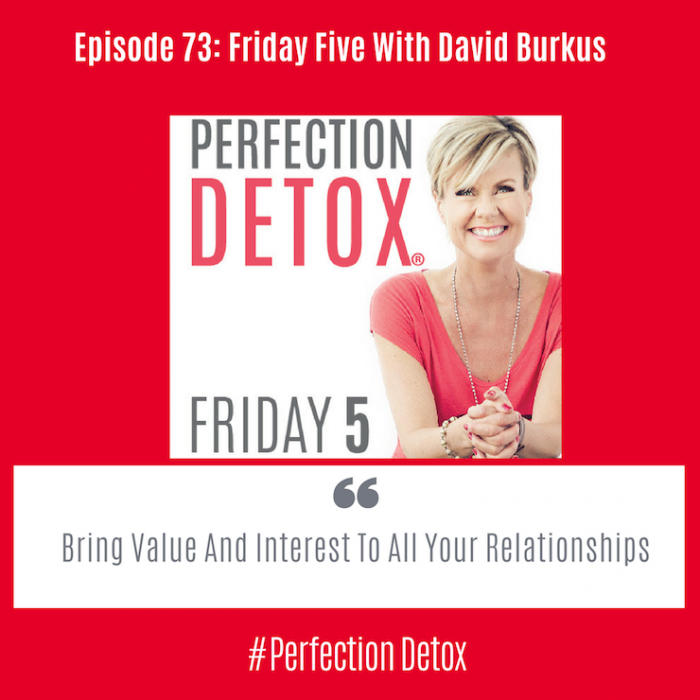 We talk about the challenge that we all have in the cocktail party situation and David gave us his example of how he opens up the conversation with an open-ended question – one that cannot be answered with a yes or a no. Can you come up with two or three new questions that you can ask when you feel as though the energy is low and that you can use when you have to do the awkward thing of introducing yourself? A question that shines your light on the person you are talking to and creates a pathway and opportunity to learn, to engage and to meet someone new while also having fun?